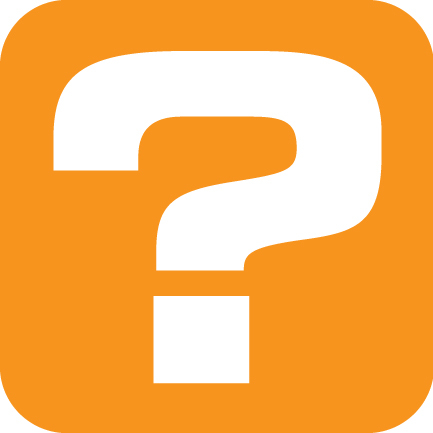 We have provided answers to frequently asked questions that we receive from both patients and clinicians. Click on your question to see the answer. The following answers to frequently asked questions are not intended to replace an evaluation, assessment, or instructions from your healthcare team. If you are experiencing a medical emergency, call 911. Seek medical advice if there is a change in your medical condition. 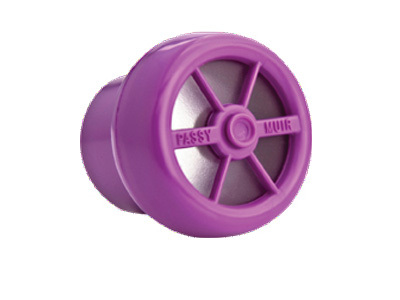 How do I clean a Passy Muir® Valve? Pour a few drops of mild liquid dishwashing soap (soap with no lotion or fragrance) into a cup. Add lukewarm (not hot) water. Swish the Valve in the water for about 10 seconds. Next, rinse the Valve thoroughly in lukewarm (not hot) running water. Allow the Passy Muir Valve (“PMV”) to air dry on its side. Do not place in the storage container to dry. Do not use a blow dryer to heat or dry. After drying, place the Valve in the storage container and close the lid for storing. When the Passy Muir Valve was placed on the tracheostomy tube, it seemed harder to breathe. What should I do? Check both your body position and the position of the tracheostomy tube. If possible, sit upright in the chair or bed, as this will allow for full movement of your diaphragm and other respiratory muscles. Exhaled air should pass easily around the tracheostomy tube and out of your nose and mouth. A small child may be the most comfortable on a caregiver’s lap. Additionally, make sure that the tracheostomy tube is not sitting crooked in the neck, as this can mean that it is crooked in the airway. If the tracheostomy tube is not sitting straight in the airway, it can block the air from being easily exhaled from the lungs, up around the tracheostomy tube, and out of the nose and mouth. Check to be sure that the tracheostomy tube cuff is completely deflated. If you have a cuffed tracheostomy tube, there may still be some air left in the cuff, which can block airflow around the tracheostomy tube, decreasing your ability to fully exhale. If you notice that the air seems to slowly leak out of the cuff of your tracheostomy tube, it may mean that the cuff does not stay completely deflated either. You should have your tube evaluated and replaced as soon as possible by your doctor or healthcare professional. Check to make sure the tracheostomy tube is clear of secretions. Suction through the tracheostomy tube, as well as through the mouth if needed. Secretions may have built up in the tracheostomy tube. If excess secretions are not removed, breathing can become more difficult and make you uncomfortable. Check the amount and type of secretions coming from the tracheostomy tube. A weak cough requiring frequent suctioning, or an infection that is causing secretions to be thicker than usual, need to be considered when using the Valve. These conditions should not stop you from trying the Valve, but you may want to wait to use the Valve until the secretions become thinner and more manageable. Consult your doctor or health care professional if your secretions become thicker, or have changed in any way. Choose a calm, stress free time of day to trial the Valve. Feeling a certain amount of nervousness is normal when doing anything different involving your tracheostomy tube, but understanding what is happening when using the Valve will help to make you feel more comfortable. Reading the PMV instruction booklet, watching our videos, and talking to your doctor or healthcare professionals will also help you gain a better understanding of how the Valve works, and will provide you with more confidence. You may also call 1-800-634-5397 and ask to speak with our Passy Muir Clinical Specialist for assistance. All of the steps in the above question have been checked, the Valve was put back on the tracheostomy tube, and it is still hard to breathe. What could be causing this? If you are not able to tolerate the Valve, you may need to be evaluated by your doctor or a specialist, such as an Otolaryngologist, an ENT (ear, nose, and throat doctor), or a Pulmonologist (lung doctor). The doctor will look for any narrowing or softening of the walls of the trachea that might make it collapse. They will also look for a build-up of scar tissue or problems with the vocal folds. Any of these conditions can make it difficult, if not impossible, to use the Valve until the problem is corrected. Additionally, sometimes tracheostomy tubes are too big to allow exhalation to travel easily around the tube, through the vocal folds, into the upper airway, then out the nose and mouth. The doctor may need to put in a smaller tracheostomy tube, or change to a tracheostomy tube without a cuff in order for you to be able to use the Valve. When you have your tracheostomy tube changed, there can be swelling of the surrounding tissues in your airway. You might find it helpful to wait a day or so after a tube change before wearing the Valve again to allow any swelling to go down. What should I do if the Passy Muir Valve comes off the tracheostomy tube when I cough? Passy Muir Valve users have reported that they will cough when wearing the Valve, especially when they first put the Valve on their tracheostomy tube. This is because the air being exhaled is now going through the throat, instead of out of the tracheostomy tube, and they are feeling secretions that are in the throat. Sometimes they will cough hard enough that the Valve will pop off the tracheostomy tube. When this happens, check to see if suctioning through the tracheostomy tube or mouth is needed. After suctioning, place the Valve back on the tracheostomy tube. Be sure to put the Valve on the tracheostomy tube using a quarter turn to the right, (take it off the same way) but do not force the Valve onto the tracheostomy tube. Most Valve users have found they are able to cough up secretions into their mouth when the Valve is on, and they don’t need to be suctioned as often. After I have been suctioned and the Passy Muir Valve is placed back on, I start to cough very hard and cannot seem to stop, or the Valve pops back off again. What should I do? Initial placement of the Valve may stimulate a cough, due to the reintroduction of exhalation and sensation through the upper airway. When airflow is absent, as with an inflated cuff, there is a tendency for secretions to pool in the back of the throat. When secretions are not felt in the upper airway you may not spontaneously cough or swallow. Placement of the Valve redirects exhalation through the upper airway, restoring sensation, and stimulating a cough. Coughing may continue until the secretions have settled, or have moved into a position that will allow you to remove them. This is beneficial as you now have a more effective secretion clearing mechanism in place with the Valve on. Usually, coughing subsides, and use of the Valve becomes more comfortable. Keep in mind that more than one suctioning attempt may be required. When coughing persists, and it is not improved by suctioning, or it is uncomfortable to breathe while using the Valve, remove the Valve immediately and speak with your doctor regarding possible causes. Thick secretions may require more aggressive pulmonary hygiene. Changes in your airway that make it difficult to breathe easily may stimulate a dry cough. Airway changes can be due to scar tissue development and should be checked by a physician. The tracheostomy tube is too large or the cuff on your tube takes up too much room in your airway. You may want to discuss with your physician downsizing the tracheostomy tube, or changing to a cuffless tube. Hypersensitivity that may benefit from medication to desensitize the airway. Did the coughing start immediately the first time you wore the Valve and has never improved? Did the coughing begin several weeks after you first began to use the Valve? Were there any changes made regarding your airway that may have triggered the coughing, such as a tracheostomy tube change? Does your cough sound wet or dry? NOTE: Do not use the Passy Muir Valve again until you have received clearance from your doctor. What do I do if my tracheostomy tube does not have a 15mm hub to attach the Passy Muir Valve? For a plastic tracheostomy tube, make sure that the inner cannula is in place. There are some plastic tubes that must have the inner cannula in place in order to have a 15mm hub. Some plastic tracheostomy tubes come in a low-profile model. If you have a low-profile model, it usually comes with a second inner cannula that has a 15mm hub. Remove the low-profile inner cannula and replace it with the inner cannula that has the 15mm hub. For a metal tracheostomy tube, if you have a Jackson Improved Inner Cannula in a size 4, 5, or 6, the PMV® 2020 (Clear) with PMA® 2020-S Adapter can be used. If you do not have a Jackson Improved Inner Cannula, call 1-800-634-5397 and ask to speak with a Passy Muir Clinical Specialist for assistance. What do I do if I have little to no voice while the Passy Muir Valve is being worn? Take a breath in, and then open your mouth to say “ahhh” while you exhale. Practice this a few times. Count slowly from one to five, taking a breath before saying each number. Try this a few times. If no voice can be produced, an evaluation of the vocal folds by an ENT (ear, nose and throat doctor) may be needed to rule out vocal cord damage, or to assess the tracheostomy tube size. A speech-language pathologist is often consulted to help improve voice and speech production. Young children should be encouraged to play games that help them practice blowing air through the mouth (e.g. blowing bubbles, whistles, horns, etc.). You can also encourage them to imitate sounds that you make while they are wearing the PMV. 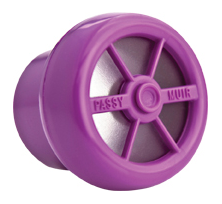 I have been using the Passy Muir Valve regularly for a few weeks or more, and now I cannot tolerate wearing it as long as I could before. What does this mean? 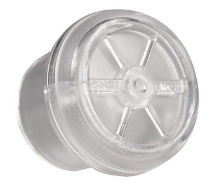 What do I do when I wear the Passy Muir Valve on the ventilator and there is a continuous rush of air through my mouth and nose? There are several reasons that this may be happening. For instance, your vocal folds may be weak since they haven’t been used much since your tracheostomy. The vocal folds and surrounding muscles may need to be strengthened. Another possible reason may have to do with your ventilator settings. If you are experiencing this problem, please have your clinician or caregiver contact our Passy Muir Clinical Specialist at 1-800-634-5397 for additional information. Do I have to have a fenestrated tracheostomy tube? The PMV can be used with fenestrated tracheostomy tubes, although a fenestrated tube is NOT required. If you are using a fenestrated tube, it is important to ensure that the inner cannula is fenestrated in order to take advantage of the fenestration. For any type of tracheostomy tube, it is important to ensure that the cuff is completely deflated, and the tube is sized appropriately so that you can sufficiently exhale around the tube. The clinician should never attempt to use a Valve with a patient on a fenestrated tracheostomy tube while the cuff is inflated. Can I use a cool or warm mist aerosol with my Passy Muir Valve in place? Yes, non-medicated cool or warm humidification can be applied via trach collar with the Valve in place on the hub of the tracheostomy tube. Can I take my nebulized medications with my Passy Muir Valve in place? No, the PMV should be removed prior to delivery of a medicated nebulizer or metered dose inhaler. 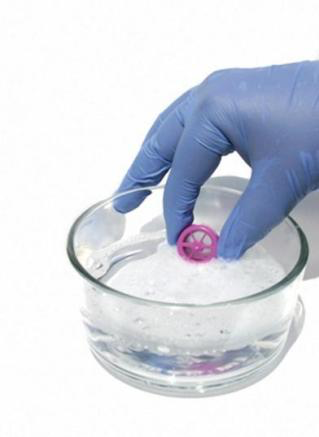 If the Valve is inadvertently used during a medicated treatment, it should be removed immediately and washed according to the cleaning instructions. Aerosolized (or nebulized) medication can leave a residue that may adversely affect the function of the Valve’s diaphragm. Why is a doctor’s prescription needed to obtain a Passy Muir Valve? 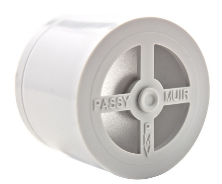 The Passy Muir Valve is a medical device regulated by the Food and Drug Administration, and by law, requires a prescription. It is important that your airway status is evaluated carefully by a doctor to make sure that you have a properly sized tracheostomy tube, there is no significant blockage of the airway, and no other conditions exist that would keep you from being able to use the Valve safely. 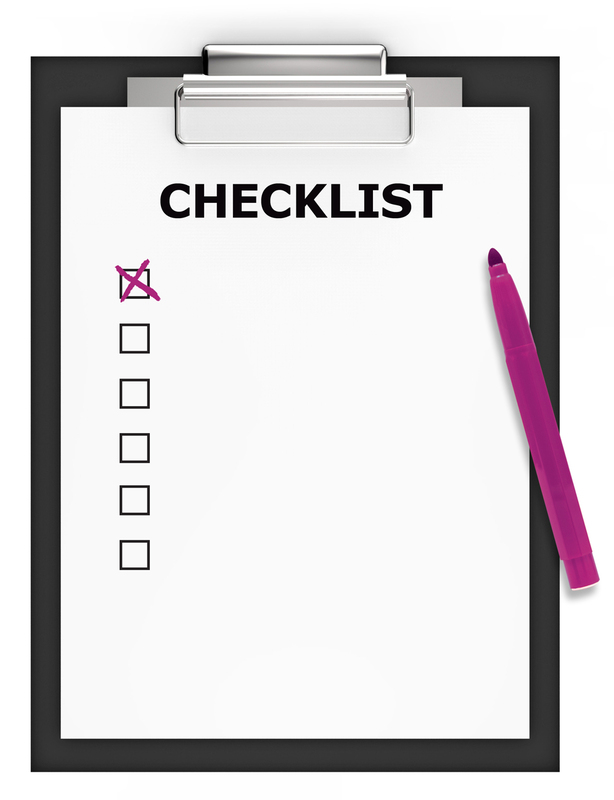 A doctor’s order is required to obtain reimbursement from Medicare, MediCal, Medicaid, or private insurance. Does insurance pay for the Passy Muir Valve? The Passy Muir Valve may be billed to Medicare, Medicaid, and private insurance using the Level II HCPCS code L8501 Tracheostomy Speaking Valve. What procedure (CPT) codes can be used to bill for the Passy Muir Valve? The evaluation for a voice prosthetic is CPT 92597. Services for training and modification in the use of a voice prosthetic are coded 92507. What do I do when I need a replacement Passy Muir Valve? If you are a patient at home using the Valve, you will need to call your physician and get a prescription for a new Valve. Most patients give their prescription to their pharmacy, home care supply company, or durable medical equipment (DME) company. If you are having trouble locating a company to provide you with your Valve, or have other questions on this issue, call 1-800-634-5397 and ask to speak with one of our Passy Muir Clinical Specialist, for assistance. What are the advantages of the PMV 2000 (clear) and PMV 2001 (Purple color™) compared to the PMV 005 (white)? The PMV 2000 (clear) and the PMV 2001 (Purple color) are lower profile, lower resistance Valves. They are lightweight and smaller in size than the PMV005 (white) and open easier during inhalation. 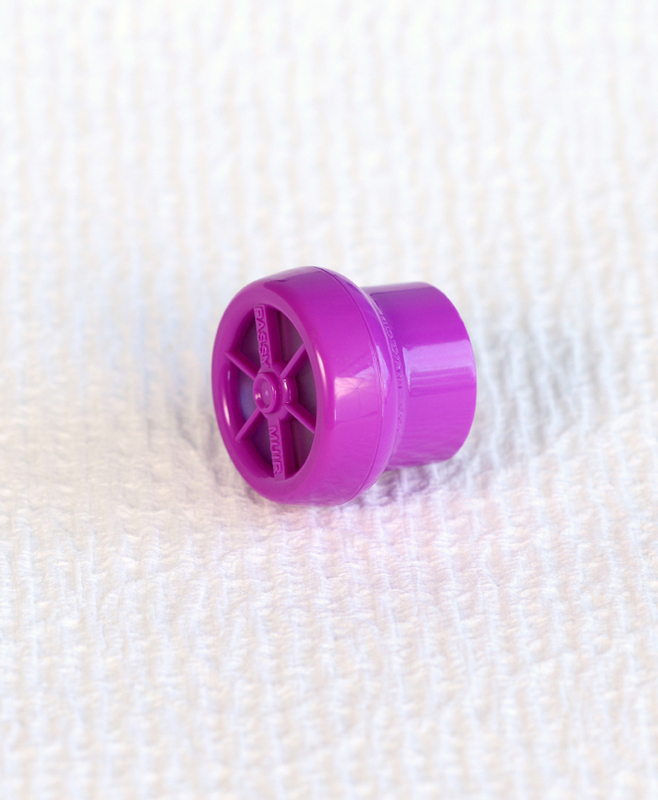 The PMV 2000 (clear) and PMV 2001 (Purple color) can be used directly on the 15mm hub of a tracheostomy tube, as well as in-line with the ventilator tubing. This ventilator connection requires a flexible silicone adapter. These low profile Valves can be used with the PMV Secure-It tether, which is packaged with each low profile Valve. The Secure-It allows the Valve to remain connected to the tracheostomy tube tie to prevent loss. 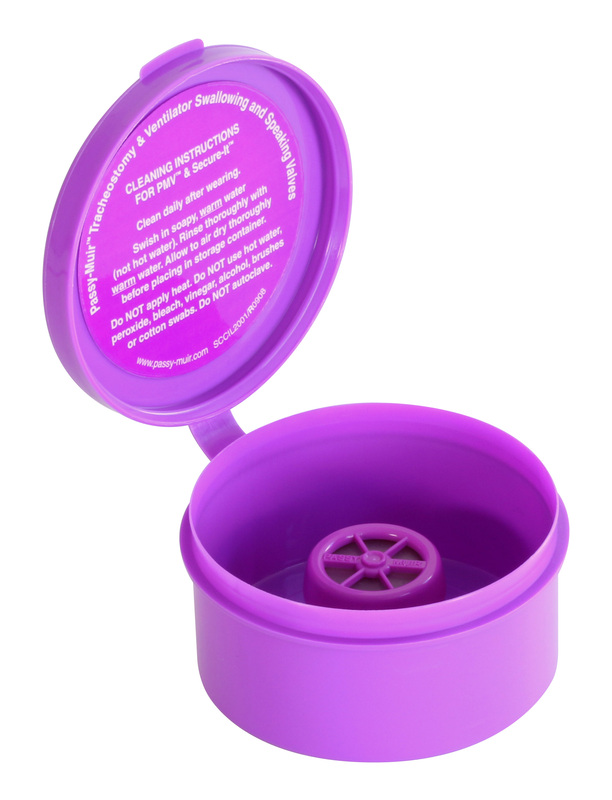 Patients who are on low-flow supplemental oxygen also have the benefit of being able to attach the PMA 2000 Oxygen Adapter (sold separately) to the PMV 2000 (clear) and PMV 2001 (Purple color). This adapter clips onto the side of either Valve and allows for delivery of low-flow supplemental oxygen up to 6L/min.